Jarno Trulli signed Renault Racing Suit photo. This is a great photo of Jarno posing in his Renault F1 racing suit. 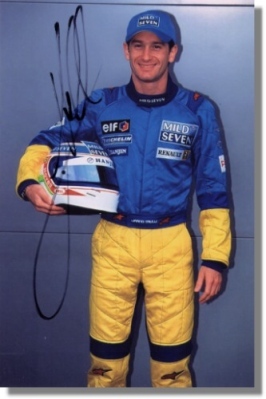 The phot has been personally autographed by Jarno with a black marker.